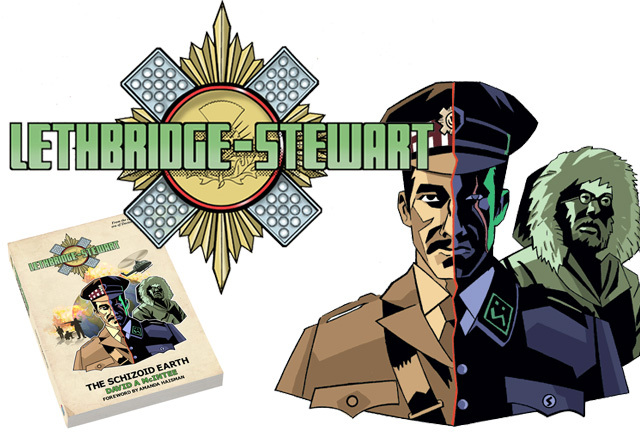 LETHBRIDGE-STEWART: THE SCHIZOID EARTH Review | Warped Factor - Words in the Key of Geek. 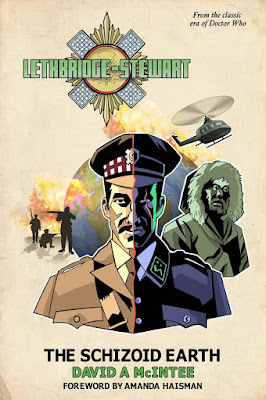 With the publication of The Forgotten Son back in February of this year, the Lethbridge-Stewart series from Candy Jar Books got underway. After some delays and rearranging of the publication order, the second book in the series has finally been released. Written by David A McIntee, the author of such acclaimed Wilderness Era novels such as The Dark Path and The Face Of The Enemy, The Schizoid Earth promised to be an exciting entry in the series. Indeed, having enjoyed the first novel and having been lucky enough to receive an advance copy of the second, I was eager to dig into this book myself. Thankfully, it didn't disappoint. In The Face Of The Enemy, McIntee showed he clearly knew how to write a solid Who based thriller without the Doctor, and The Schizoid Earth has him continuing in that vein with great success. To discuss the plot of this would risk the potential of giving too much away. Suffice to say that if you've read the title, seen the cover art, and know your Classic Who then you likely have formed some idea of what this novel is about. Whatever you may think going in though, you're in for more than one surprise along the way. The Schizoid Earth is a roller-coaster ride of a plot that combines Doctor Who style Earthbound science fiction with thriller elements straight out of the 1960s. There are echoes of not just of Classic Who but of many of ITVs great spy series of the time, something that McIntee does so well that it's almost a shame he hasn't contributed anything to Big Finish's similarly themed Counter-Measures series. He clearly has a knack for it and it shines through in this volume. Which to a certain extent is also the biggest issue with this novel. The Schizoid Earth starts off with two different plot strands that seem to contradict each other outright, something that also makes for confusing reading at times as the story swaps back and forth between them at regular intervals. To its credit, the novel does eventually tie the two together, doing so in a way that is most unexpected and immensely satisfying. For much of its length though, it makes for an at times confusing read even for someone familiar with the elements and characters being used. Back to the positives though. The Face Of The Enemy also showed that McIntee had a fine grasp on who Lethbridge-Stewart was as a character as well, something else that works here to the novel's advantage. The once and future Brigadier comes across very well as both action hero and a man trying to figure out the situation he's found himself in. The Schizoid Earth also makes a rather interesting and unexpected tie-in back to elements from the earlier novel in the series, which adds a wonderful layer to the character in how he deals with it here as part of the unfolding plot. It's something that, like in The Forgotten Son, gives the novel an added layer of authenticity. Indeed, McIntee does well with characterization throughout. That's especially true of returning characters from the TV series but also of characters both created for the series and returning from McIntee's earlier Who work. You never get the sense that any of his characters are cardboard or walking and talking cliches but people with often hidden agendas. Those who have read McIntee's earlier Who work will find some familiar faces here making their first chronological appearance, while at least one familiar non-Who face makes a rather unexpected appearance as well. Yet it's also welcoming for new readers, meaning that they will have a wonderful introduction to those same characters. While it does have the minor issue of a plot that's perhaps a tad more complex than it needs to be, on the whole The Schizoid Earth is a fine read. McIntee turns in a fine Who based thriller that both harkens back to the era in which it's set while also exploring ideas and concepts more modern. It's a fast paced tale and one that makes for a wonderful addition to this new series. 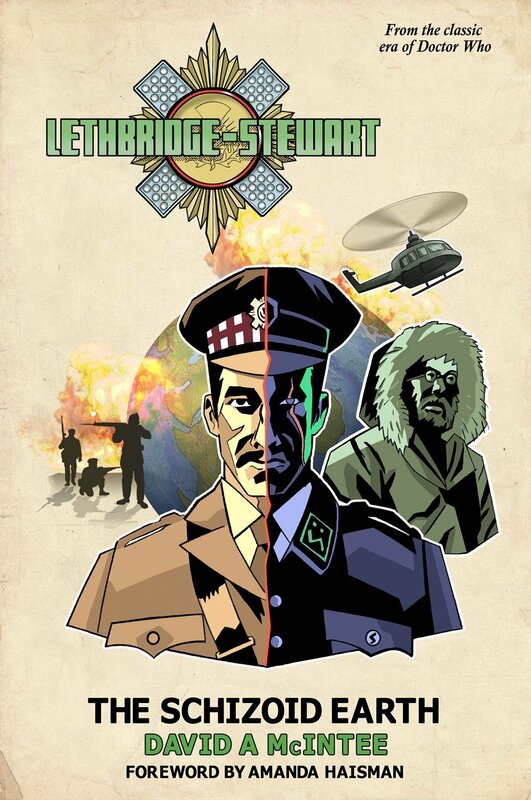 If they are as good as this and The Forgotten Son, one suspects the Lethbridge-Stewart series will have a healthy run as well. Thanks to Candy Jar Books for supplying Warped Factor with an advance copy of The Schizoid Earth in return for an honest review.